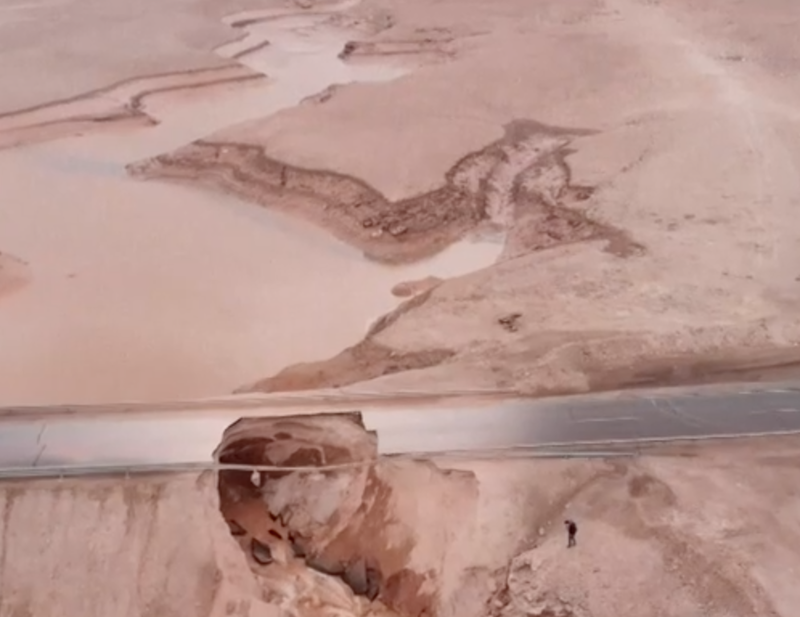 The Big Wobble: Atacama Desert, Chile, one of the driest places on Earth has so much rainfall a 60m (196ft) waterfall that had run dry for 10 years has been reactivated. Atacama Desert, Chile, one of the driest places on Earth has so much rainfall a 60m (196ft) waterfall that had run dry for 10 years has been reactivated. Chile’s Interior Ministry declared a red alert overnight in the neighbouring provinces of El Loa and Antofagasta after several days of heavy rain and electric storms, which saw three people killed, roads cut off, houses damaged and bridges collapse. The state geological agency has warned of land and rock slides. Last Tuesday Chile declared a 'state of catastrophe' in three regions ravaged by forest fires that have killed two people and razed 10,000 hectares of land.